On October 10, 2008, at a cement production plant in the UK, electrical engineer Paul Ridings, 39, was engulfed by a fireball. He was investigating a fault with an energy meter when he inadvertently disturbed a loose connection and exposed a strand of wire leading to an electrical explosion. His clothes caught fire and he sustained burns to his face, neck, chest, arms and hands. He received emergency treatment and spent 19 days in hospital. Since the incident he has undergone numerous skin grafts and operations to remove scar tissue. An investigation by the UK’s Health and Safety Executive (HSE) found the company failed to ensure electrical systems were maintained in such a way as to protect workers. The company admitted breaching sections 2(1) and 3(1) of the Health and Safety at Work etc Act, 1974, was fined £130,000 and ordered to pay costs of £29,742. Electrical flashover, or arc flash, is one of the most deadly and least understood hazards of electricity and is prevalent in most industries. It is widely recognised that the higher the voltage of an electrical power system, the greater the risk for people working on or near energised conductors and equipment. The thermal energy from arc flash, however, can actually be worse and more common at lower voltages and can cause devastating, severe burn injury, and even death. An arc flash is usually caused by inadvertent contact between an energised conductor such as a bus bar or wire with another conductor, or an earthed surface. When this occurs, the resulting short circuit current will melt the conductors, ionise the air and create a conducting plasma fireball with temperatures in the core of the arc that can reach upwards of 20,000 degrees centigrade. Severe injury and even death can not only occur to persons working on the electrical equipment, but also to people located nearby. Arc flash injury can include external burns to the skin, internal burns from inhaling hot gases and vaporised metal, hearing damage, eye damage such as blindness from the ultraviolet light of the flash, as well as many other devastating injuries. 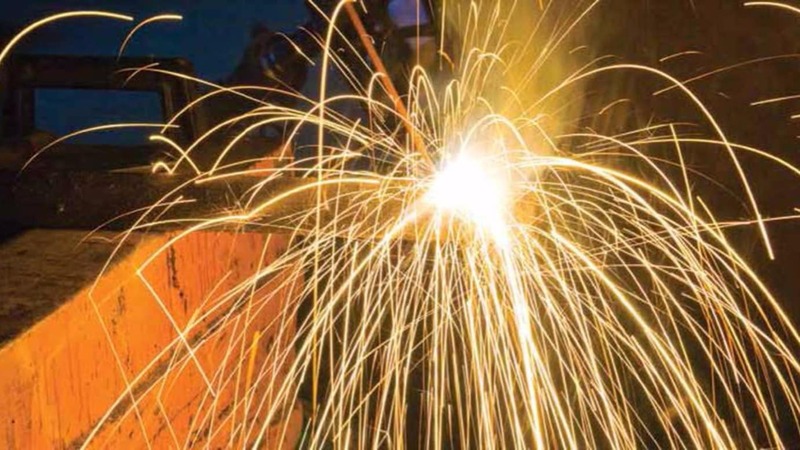 Depending on the severity of the arc flash, an explosive force known as an arc blast may also occur, which can result in pressures of more than 100 kiloPascal (kPa), launching debris such as shrapnel at speeds of up to 300 metres per second (m/s). Survivors of such injuries may require extensive treatment and rehabilitation and the cost of these injuries can be extreme – physically, emotionally and financially. While legislation requires businesses to perform risk assessments for all work activities, electric arc risk is often overlooked because most people are unsure how to assess and manage this hazard effectively. It is clear from the European Council Directive 89/391/EEC (EU Workplace Health and Safety Directive) that there is an obligation on behalf of the employer to assess the level of risk involved in the workplace and the effectiveness of the precautions to be taken. For electrical work, this should include all the hazards of electricity, including the arc flash hazard and not purely shock, as is often the case. There has been extensive research in the United States into the arc flash phenomena over many years, the result of which has been the prediction of the arc flash hazard severity. Although the hazard is the same in Europe the legislative requirements are different to those in the US. The US model has a direct link from hazard into PPE (personal protective equipment), whereas the EU Directive, 89/391/EEC, requires employers to perform risk assessments for all hazards/tasks. The US research, however, has resulted in the creation of the IEEE 1584 Guide for Performing Arc Flash Hazard Calculations 2002. The Institute of Electrical and Electronics Engineers (IEEE) is the largest professional electrical engineering body in the world. All industries have a level of risk, but there are of course those that carry a higher risk such as utilities, energy producers and providers, mining, manufacturing companies – particularly those in the food, pharmaceutical and chemical industries – hospitals, large commercial organisations, data centres, education establishments and large leisure facilities. Before arc flash is considered further, it is important to be clear about some of the terms that are used. The European definition of the term hazard means anything that has the potential to cause harm. In the case of arc flash, the potential to cause harm will vary with the current that can flow in an arc; the amount of time that the arcing fault is sustained; the length of the gaps between the conductive parts which are bridged by the arc; electrodes, the confinement around the arc; the chemical compositions of the conductors and the materials around the arc, and the distance of the worker from the arc. The term risk is the chance (or likelihood), high or low, that someone might be harmed by the hazard. Although the arc flash hazard may be high, control measures can be adopted to reduce both the hazard and also the associated risk, to as low as possible. The arc flash hazard needs to be determined by risk assessment, out of which the decision to work live or dead and the required precautions will be derived. The need for risk assessment is embodied in European Law through Directive 89/391 (EU Workplace Health and Safety Directive) and the associated guidance, which identifies electrical work as a ‘high risk’ activity. An excellent Arc Guide written by European experts is available to take the user through a step by step approach to the management of the arc flash hazard, and includes the application of the latest developments in prevention and mitigation measures. This will always start with a dead working policy as a matter of principle and then move through a range of risk control measures before considering personal protective equipment (PPE) as a last resort to protect individuals should an arc flash occur. Users of the guide will know that they have the tools to easily predict incident energy levels at equipment cables to be worked upon, but risk assessment is actually much more than this. The cycle matrix diagram, right, illustrates how this important step of prediction is necessarily, followed by prevention, protection and then finally, publishing. The severity of the thermal effect of an arc flash is defined by the amount of ‘incident energy’ that a victim, standing at a given distance away from the arc, could receive to the surface of the skin. The ‘incident energy’ is the value calculated which defines the severity of the arc flash. It can be quantified in units of kiloJoule/metre2 (kj/m2), Joule/centimetre2 (J/cm2) and calories/centimetre2 (cal/cm2). One cal/cm2 is equal to 4.184 J/cm2 and is equal to 4.184 kJ/m2. Units of cal/cm2 are most commonly used, as this is specified for PPE garment labels according to the standard IEC 61482-2. As a frame of reference for incident energy, an exposure to heat flux of 1.2 cal/.cm2.s during one second, e.g. exposure to 1.2 cal/cm2 can produce the onset of a second degree burn to the skin. This value is used by many standards as the benchmark that defines protection against the thermal effects of arc flash and the threshold of a zone which is commonly known as the arc flash protection boundary. This is where the predicted incident energy falls to 1.2 cal/cm2. The calculation methods in the guide are taken from the IEEE 1584 Guide for Performing Arc Flash Hazard Calculations 2002, and take into account distance to worker, arc confinement, conductor gap, voltage, prospective fault current and disconnection time. These are accurate calculators to determine prospective fault current, which is always a key element in predicting arcing current and therefore the incident energy levels. The guide includes charts and calculators that will help even when site data is limited, such as for circuit breakers and common European style fuses. A fundamental safety principle, which is embodied in European Legislation is to design out, eliminate or remove the hazard at its source. This leads to the conclusion that the majority of electrical tasks must be carried out with the equipment made dead. To work dead, the electricity supply must be isolated in such a way that it cannot be reconnected, or inadvertently become live again, for the duration of the work. As a minimum, this will include the positive identification of all possible supply sources, the opening and locking of suitable isolation points by personal padlocks and for the proving dead at the point of work. Where the arc flash hazard cannot be eliminated then suitable risk controls should be in place (preventative or protective measures). It is important to understand that the relationship between hazard identification, deciding on suitable risk controls and the decision for work to proceed is an interdependent one. 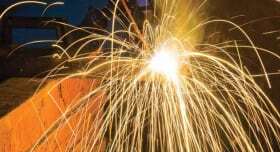 Furthermore, the physical task to be carried out on or near energised equipment is a hugely significant factor as it is usually worker activities that initiate a damaging arc flash event. To further clarify this relationship, a decision for work to proceed where there is a significant arc flash hazard cannot be taken in isolation of other factors. The level of hazard and also the availability and effectiveness of preventative or protective measures will also need to be considered. The activities associated with the physical task can often lead to the initiation of an arc flash event. For low voltage work, see the list already cited on page 50. The list describes activities that have the potential to initiate an arc, some of which have been shown to be common causes of electrical flashover. It must be emphasised that the guide discourages live working. While some of the activities listed are still common in industry, practices such as connecting cables into live equipment would be very difficult to justify outside the public utilities. The likelihood of an incident is greatly enhanced by poor worker competence and ignorance of the hazards. Common to this is the dropping of non-insulated tools or fastenings, sometimes out of breast pockets in clothing. Even for competent workers the loss of concentration, distraction and human error may be factors which lead to arc flash events. All these measures should be properly monitored and reviewed and this is particularly important when considering the lower order risk controls. Where the risk cannot be controlled by prevention or where there is a residual risk of injury, then it may be necessary to consider mitigation to prevent injury to the worker. The requirement for and suitability of mitigation techniques must form an essential element of any risk assessment. There are many different forms of protection arrangements such as remote operations, reduction in arcing time through arc detection and rapid disconnection and thorough training in operational techniques, such as body positioning when operating equipment. As a last line of defence, it may be necessary to consider personal protective equipment (PPE) to prevent injury to the worker. Where protection against the thermal effects becomes necessary it must be emphasised that PPE does not prevent the accident happening in the first place. PPE used for arc flash protection includes garments made from flame resistant (FR) fabric. This fabric is designed to provide a thermal barrier and limit the incident energy exposure at the skin surface to no greater than 1.2 cal/cm2. FR clothing is rated based on its Arc Thermal Performance Value (ATPV) in cal/cm2 or Energy Break-open Threshold (EBT) in cal/cm2 according to EN 61482-1-1 and/or on its Class 1 or 2 performance according to EN 61482-1-2, with the arc rating certified according to IEC 61482-2. The ATPV is the limit of the incident energy up to which a material can be exposed, so that the curve of the energy transmitted through the material will remain below the Stoll curve, and without causing break-open or, more colloquially, the ATPV is the incident thermal energy that the clothing can support before that the wearer will suffer second degree burns. To properly protect a worker, the ATPV value – or the EBT value in case that no ATPV can be determined – of the FR clothing must exceed the prospective incident energy available at a given location, at a given distance from the electric arc event. Non FR clothing may ignite or melt at low incident energy values and once ignited will continue to burn after the electric arc has been extinguished. Burning material next to the flesh can result in serious third degree burns, even for very short durations. This means that ordinary clothing could actually become a hazard and for this reason it should be considered within the risk assessment. The European Council Directive 92/58/EEC stipulates the minimum requirements for the provision of safety and/or health signs at work, stating that signs must be provided where hazards cannot be adequately reduced by techniques for collective protection or by measures, methods or procedures used in the organisation of work. Signs must be standardised across Europe to reduce hazards that may be accentuated with language and cultural differences, and they must warn of any remaining significant risk, or instruct employees of the measures they must take in relation to these risks. It is very important that employees fully understand the meaning of such safety signs and are aware of the consequences of not following the warning or instruction given by the sign. The arc flash hazard is a serious electrical risk that needs to be managed in many industrial environments and for risk assessment for workers who operate in proximity to, or on, energised electrical equipment and cables, it is essential to ensure safety and compliance with the law.